…Ultimately cashmere is proving catastrophic for the enviroment. The Chinese grasslands are unable to support the number of cashmere goats required to meet the world’s growing demand of the cashmere fibre and consequently, these grasslands are turning into deserts of ice. Consequently, the number of goat herds has exploded. Behind China, Mongolia is the second largest cashmere supplier where the goat population quadrupled from 5 million to 20 million in under 20 years (from 19990 to 2009). Already, nearly all of Mongolia is at risk of turning into desert (90%) whilst many predict that over-grazing is exacerbating the effects of climate change in a process that is already advanced. The Gobi Desert increased by an area larger than the Netherlands between1994 and 1999 – that’s all within 5 years?! By their nature, goats are more versatile than sheep meaning that shepherds in Mongolia now have a tendency to switch their livestock towards goats as land becomes more desert-like which fuels the problem by further damaging the ecology. The goats’ sharp hooves destroy topsoil and grass whilst they eat plants close to their roots which destroys their native grasses. It’s an extremely counter-productive system. Alpacas soft, padded feet are gentle on the natural terrain and they graze without destroying root systems as they don’t eat purely the tops of grass unlike sheep and goats. Alpacas originate in the Alti Plano of the Peruvian Andes which is far less a fragile ecosystem. Alpacas are seeing much less of a boom in numbers unlike those of cashmere goats. The kind of population boom that cashmere goats have seen seems less likely for alpacas. According to the Natural Resources Defence Council, alpacas are much more efficient than cashmere goats. An alpaca consumes less water than a goat and is also able to grow enough fibre to create 4/5 jumpers in a year whilst in comparison, it takes four goats the same amount of time to produce enough cashmere yarn for a single sweater. It is now very easy to see why Alpaca can and should replace cashmere as the world’s number 1 ethical and sustainable luxury yarn. Contrary to popular opinion, alpaca fibres are sorted and arranged from where they’ve been shorn which ranges from the premium fibre which is taken from closest to the body and classified as baby alpaca and is not shorn from actual baby alpacas (otherwise known as crias). 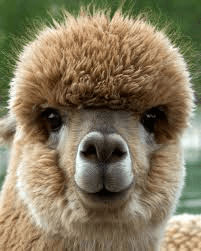 The guard hairs of the alpaca are found on the animal’s legs and top coats. Alpaca yarn is categorised and sold in a similar way to how prime cuts of beef are – some are better and therefore more expensive than others. We at Plum of London exclusively use Royal alpaca otherwise known as Super Baby Alpaca which easily rivals the best cashmere with regards to softness whilst completely surpassing it when it comes to durability, breathability (alpaca possesses better thermal properties than merino), strength (alpaca is second strongest only to silk), warmth (alpaca is warmer than goose down), whilst it also boasts hypoallergenic and antibacterial qualities among many others…! We’re due to launch our own version of women’s and men’s Royal alpaca jumpers and sweaters which will retail between £150 – £300 which although may seem expensive, our customers can rest assured that they will be an incredible investment and one which will last one lifetime if not two… After all, purchasing clothes should be considered as a long-term investment and not one which is seen as a flippant decision made on impulse – otherwise known as the ‘throwaway culture’ that we have now unfortunately found ourselves in. The UK alone generates around 14 million tonnes of textile waste per year so surely it’s time to consider the planet ethically and sustainably and buy one or two amazing alpaca knitwear garments than several poor quality cashmere versions. Times are a changing and we at Plum of London are at the epicentre of those changes thanks to the revolutionary way alpaca can positively change and alter the textile landscape. Come and experience the quality and attributes for yourself first hand and we promise you nor the planet, will be disappointed. This entry was posted in Latest news and tagged alpaca, Alpaca Clothing, Alpaca Knitwear, Cashmere, china, eco-friendly, ethical, mongolia, peru, sustainable on 29/11/2017 by Hugo Douglass.